 The Royal Exchange Theatre offers free use of our unoccupied rehearsal rooms to Open Exchange members involved in non-commercial projects within a rolling 4-week window. We may also be able to help with access to other resources, such as technical equipment, props etc. If you have a specific query please drop us a line. Free rehearsal space is available for Open Exchange members to meet, try out ideas or rehearse any project which is private and non-commercial. For example, we offer our available space to companies or artists looking to rehearse a production or R&D an idea, but we don’t offer free space to artists who are running a workshop for which they’re charging participants, or for any public facing events. We can calculate the in-kind value of any rehearsal space that is offered so that artists can use it in funding applications if appropriate. The Swan Street Studio space in the Northern Quarter is also home to the Open Exchange. Click here to find out more about the space and here on how to find it. ACE Project Grants Application Cheatsheet by Rachel Dobbs. Click here. An Unofficial Guide for Theatre Makers by Simon Day. Click here. From Arts Council England: In addition to the How to apply guidance, they also publish information sheets that offer guidance on particular aspects of applying for Project Grants. Click here. This guide is a starting point for anyone looking to find their way around the wealth of opportunities on offer to theatre makers in Greater Manchester. It includes information from some of the leading theatre organisations in the area – some venues, some not – about the kind of work they support, the programmes they have available and the best person for you to contact if you want to find out more. Download a copy here. This comprehensive guide includes advice for artists setting out to get their work programmed as well as a directory of Northern venues who programme new work. The guide was published by Venues North, a network brought together and chaired by ARC’s Chief Executive, Annabel Turpin. The latest version of Routes In (updated in January 2018) is available to download here. In January 2015 ARC introduced a Pay What You Decide pricing model on its entire theatre, dance and spoken word programme. Following a successful first year, this PWYD toolkit was published to help other venues and festivals considering introducing PWYD pricing. Download the PWYD resources from the ARC website. This document is published by the North East Artist Development Network, and updated twice a year. It is designed to provide information about artistic policies and artist development opportunities offered by venues and festivals across the North East. The latest version can be downloaded from ARC's website.